Manchester Community College‘s Continuing Education Division offers an Emergency Medical Technician (EMT) course that fully prepares students to take the certification exam. 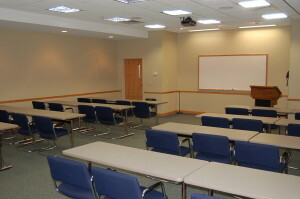 The MCC Credit-Free course is offered in partnership with the Ambulance Service of Manchester (ASM) LLC, whose staff teaches the MCC course on site at the ambulance building located at 275 New State Road in Manchester. An EMT is a first responder in the event of accident or illness and must assess injuries, administer emergency medical care, extricate trapped individuals and transport sick or injured people to medical facilities. 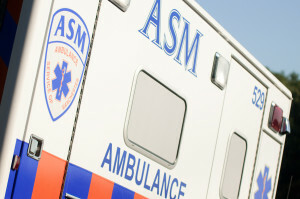 ASM, a 2012 recipient of the Governor’s Award for Career EMS Services, provides Emergency Medical Services (EMS) to Manchester, East Hartford, Bolton and supplemental paramedic service and transport to the Town of Windsor. ASM also provides paramedic intercept services to Glastonbury, South Windsor,Stafford Springs and Somers and responds to Basic Life Support (BLS) and Advanced Life Support(ALS) 9-1-1 requests to many surrounding communities in Hartford, Tolland and Windham Counties. The ASM staff will begin the Fall 2013 offering of the MCC course on Monday, September 9. It runs for 13 successive Mondays and 12 successive Wednesdays, through December 16, from 6 -9:30 p.m. It also includes 12 clinical sessions held on successive Saturdays, from Sept. 21 through Dec. 16, from 8 a.m.-4 p.m. The course fee is $750 (refer to CRN 31723). For more information, call the Credit Free Information line at 860-512-2800, or to register, contact the Registrar’s Office at 860-512-3232, or visit http://www.manchestercc.edu/continuing/creditfree.php. This entry was posted in ASM Appearance in the Media or Press, ASM Company News, Company Philosophy and Thought Leadership, In the Hartford Courant and tagged Ambulance companies in Connecticut, EMT Course, Hartford Courant, Manchester Community College by ASM-Aetna. Bookmark the permalink.